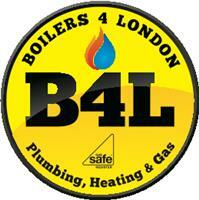 Boilers 4 London are a S.W. London based Gas Safe Registered plumbing & Heating company priding ourselves on delivering a high standard of work along with a competitive price. We Install: Boilers, Full Central Heating Systems, all types of Unvented Cylinders,Normal open vented cylinders, Bathrooms, Radiators, Radiator Valves, 2 or 3 port Valves, Showers, Taps, Toilets, Pumps, Etc..
We Also Repair and carry out maintenance on all types of Boilers, Unvented Cylinders, Central Heating System Components like 3 or 2 port valves, Pumps, Tanks, Expansion Vessels, Programmers Etc..
We Also have a number of landlords on our books whereby we service the Boilers in there properties they own each year and also maintain any other plumbing issues that they might have, including some building works like decorating, tiling etc..
We are a Vaillant Advanced company so can offer our customers up to 7 years parts & Labour warranty free . London, Clapham Common & Junction, Wandsworth , Stockwell, Battersea, Putney, Balham, Streatham.